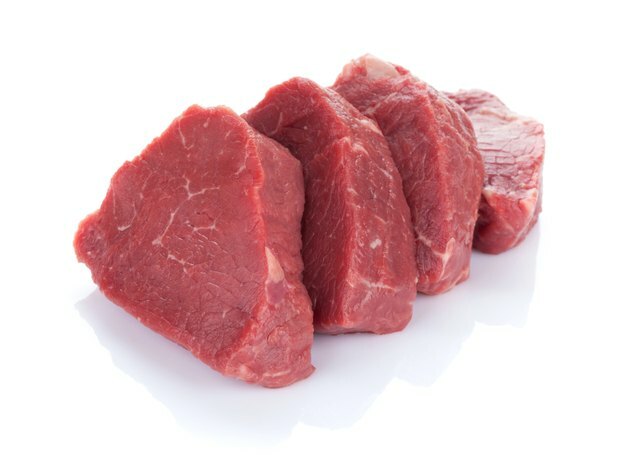 Filet of sirloin, also known as sirloin steak, comes from one of the tenderest parts of the cow. Cooking sirloin filets is not difficult, and not limited to one method. Because it is such a tender cut of meat, you can cook sirloin by grilling, broiling or pan-frying. The important part is the timing. Cooking sirloin filets too long will make them dry out and get tough. Use a meat thermometer when cooking beef, to avoid any chance of contamination. Spray the grill rack with nonstick cooking spray and turn the heat to medium-high. Rinse the sirloin filet and pat it dry with paper towels. Rub olive oil into the filet and sprinkle it with cracked black pepper and coarse salt. This forms a slight crust that will help keep the juices inside. Place the sirloin filet on the hot grill. Cook it for five to seven minutes. Flip the sirloin filet with tongs to avoid puncturing it, which would let the tenderizing juices leak out. Cook it for another five to seven minutes. Insert an instant-read thermometer into the center of the meat. The sirloin is rare when the temperature has reached 145 degrees F. Cook it for another two to three minutes per side for each degree of doneness. Turn on the broiler rack and prop the oven door open so that the oven doesn’t automatically turn the broiler off when it gets too hot. Spray the broiler pan rack with nonstick cooking spray. Rinse and season the sirloin filet as in steps 1 and 2 in Section 1. Place the broiler pan in the center of the oven. Cook the filet for five minutes and then flip it over using tongs. Cook the filet for another five minutes and move the broiler pan to the top rack of the oven. Broil the filet directly under the flame for two minutes per side. Check to make sure that the internal temperature is at least 145 degrees F.
Spray a skillet with nonstick cooking spray and set it on the stove over medium-high heat. Set the seasoned filet of sirloin into the hot pan. Cook it for five to seven minutes and then flip it with tongs. Cook the filet for another five to seven minutes. Check the internal temperature to be sure that it has reached at least 145 degrees F.
Always let beef rest for a few minutes before serving it so that the muscle fibers can relax. Never use the same utensils on cooked meat as you used on raw meat.